In Oxford and Abingdon, tactical voting on an industrial scale succeeded in ousting the Tories. There is much to learn from this. Students at My Big Fat (Mini) Election. Cabinet Office / Flickr. Some rights reserved. Bookmakers regarded the result in Oxford West and Abingdon as a near-certainty. The ten thousand vote Conservative majority from 2015 seemed impregnable. But an almost unequalled 15% swing on the day saw Liberal Democrat Layla Moran beat the incumbent Tory by a few hundred votes. This was one of the most extraordinary results in an extraordinary election. What happened here to push out the Conservatives? Simply put, tactical voting on an industrial scale. Large numbers of people were persuaded to ‘lend their vote' to the Liberal Democrats, in the language of the many garden placards that dotted the constituency. How did we get so many voters to transfer to the Liberal Democrats, perhaps their second or third choice of party? Three aspects of this campaign seemed crucial. What happened here to push out the Conservatives? Simply put, tactical voting on an industrial scale. First, groups of individuals, often with strong existing political affiliations, met from early spring to start an alliance of left-of-centre voters in Oxford. 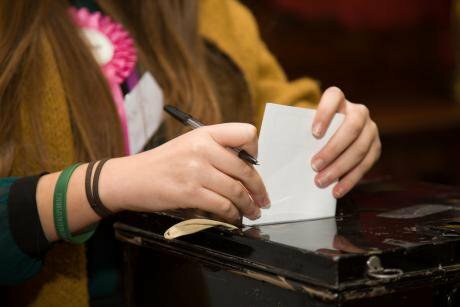 The Labour party could not be drawn in, even though many local supporters saw the strength of the case for tactical voting in the constituency. The party had got less than half the Liberal Democrat vote in the 2015 election. The Progressive Alliance nevertheless pushed on and organised a march attended by about 200 people in Oxford city centre early in the campaign. The work of these individuals, and the encouraging publicity achieved, helped give momentum to the tactical voting drive. Tina Leonard, who organised much of the Progressive Alliance’s work, stressed that the purpose of the campaign was not just to elect a non-Conservative MP but also to try to build a wider involvement in politics. Second, the local Green Party made a risky move by standing down early in the campaign. Some supporters wanted the party to negotiate a deal that saw the Green withdrawal rewarded by a Liberal Democrat candidate standing down elsewhere. In the end local party members decided that its candidate would step aside with no direct promise of reward from the Liberal Democrats, but an agreement to work together in future local elections. This helped avoid the accusation that the withdrawal was part of a pact that would inevitably be described as grubby or unprincipled. Voters seemed to understand that the lack of a Green name on the ballot was an outcome driven by political conviction and generosity – a rare quality in politics. Yes, the decision was unusual but it was warranted by the need to maximise the anti-Tory vote. Party co-leader Caroline Lucas had made her support for cooperation clear and candidate Cheryl Briggs agreed to step aside “for the greater good”. Local Greens, including Cheryl and the chair of the Oxfordshire party Sarah Wood, canvassed alongside the Liberal Democrat candidate. As a result, most of the 2,000 or so Green votes won in 2015 probably transferred over to the eventual winner. The Green decision also appears to have helped some more Labour loyalists to decide to disobey party instructions and support the Liberal Democrat candidacy. Third – and this may have been the most important force at work – the last two weeks of the campaign saw large numbers of previously non-political people get actively involved in helping the Liberal Democrat candidate on behalf of the Progressive Alliance. Almost one hundred voters participated in some way. They imitated conventional politicians by door-knocking, pushing leaflets through doors across the constituency and standing in the street trying to talk to voters on the way to the shops. One of these neophytes even had the good luck to badger Guardian columnist Professor Timothy Garton Ash as he passed Marks & Spencer. His friendly suggestion was that she call the campaign ‘strategic’ rather than ‘tactical’, a word she then employed in later conversations. Ordinary people stopping other ordinary voters in the street to talk about politics is not something I’ve ever seen before in the UK. On election day itself, in the perhaps the world’s first flash mob composed of people averaging over 50 years old, a group of fifteen people stood outside the door of an Oxford college and stopped students to talk about the reasons for supporting the Liberal Democrats, a party which many of the activists and students will never have voted for before. We need more of this, lots more of it. The UK will probably wait a long time for proportional representation. Tactical voting is a poor substitute, but the Oxford and Abingdon victory shows it has a future. And if it gets more people involved in political activity, it has much to recommend.